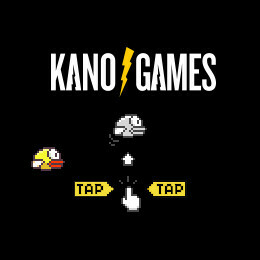 As you may have noticed, over the past week Kano Games has been experiencing a little Flappy Bird Madness! There have been quite a few versions of Flappy Bird added to Kano Games but we think we are close to exhausting that game, thankfully the madness is just about over! We decided to end the Flappy Bird Madness with a version of our own that can be played on Mobile and Desktop devices that has been integrated with High Score Prizes for your Robot. Score 20, 50 and 100 to unlock prizes for your bot. Play Flappy Bird with highscore integration here. Flappy Bird Online - the first version of Flappy Bird that could be played online released to Kano Games. Flappy Bird - the earliest online version of flappy bird that got popular through #FlappyBirdOnline and #BirdChallenge hashtags. Flappy Bird PC - is a Flash version that is only playable on PCs. Flappy Bird HTML5 - is one of the better HTML5 versions out there and works very well on Mobile devices as well as desktop. Flappy Bird 3D - is unity 3d version that gives you Flappy Birds perspective, very cool! Squishy Bird - is your chance for revenge, squish the Flappy Bird! Flappy Bird Mobile - was one of the first Flappy Online versions built to run on mobile devices! OK, that is all of them, wow that is a lot of Flappy! We cannot promise that additional Flappy Bird games won't be added but there will definitely need to be awesomeness that we have not yet seen! Let us know what Flappy Bird game is your favorite! And Happy Valentines Day! Do you play Free Rider HD? Minecraft? How about that overflowing collection of Steam games you have sitting around! Since the release of chat we've seen users sharing various profiles, from Xbox Live to Minecraft. Now on Kano Games, you can add your favorite game accounts, right to your User Profile!. Navigating to Account Settings, you'll find a collection of boxes where you can set other game accounts to display on your Kano Games profile. Simply type in your account names, hit save changes, and you're ready to go! Second on the list, as you may notice, there have been some chat Moderators jumping in and out from time to time. We have recently gone ahead with a community initiative to clean up the Kano Games chat! These Moderators you'll see around can be identified with a green “MOD” tag next to their names. We have hand selected various players from the website who have shown positive attitudes, and an all around helpful nature through their time on Kano Games. These players will be around helping us make sure that the chat stays positive and constructive as best they can. We are not actively recruiting chat Moderators, though if we see someone displaying frequent helpful attitudes towards other players, they will certainly be considered when we are in need. And one last thing, have a safe and happy holidays! Today we are excited to announce the beta release of Free Rider HD! 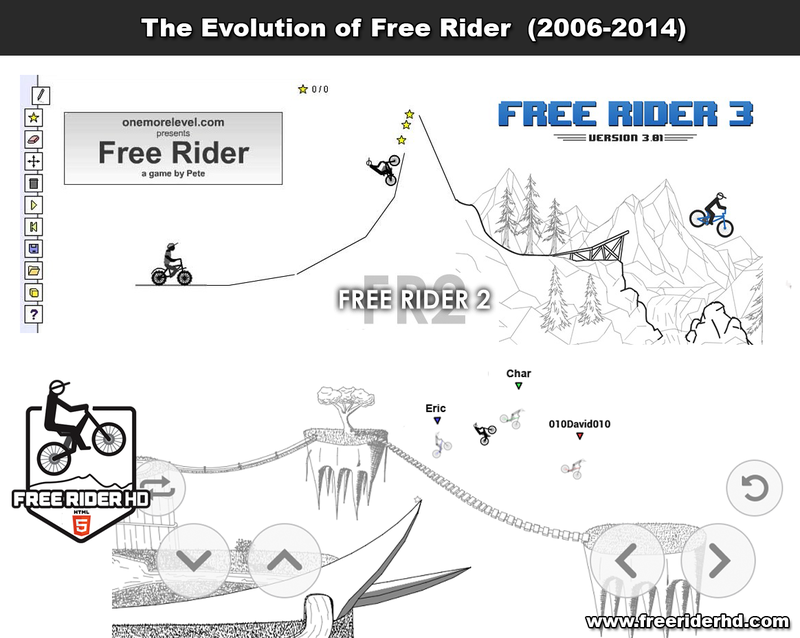 Free Rider HD is the next generation of Free Rider, re-written in HTML5 it is built for performance and playable on desktop, tablet and mobile. FRHD has the same addicting gameplay you have come to expect but this time features full screen with no lag, asynchronous racing with multiple players and more to exciting features to come. We are currently focusing on the racing aspect of Free Rider, after we get that perfect we will be moving on to the Track Creator and Campaigns! For convenience we have embedded Free Rider HD here on Kano Games as well as providing links directly to FRHD. Once we get some of the bigger features out of the way we do have plans to provide better KG <=> FRHD account integration. If you would like your FRHD + KG account to be linked in the future use the same credentials (email, facebook, google) to sign-up for FRHD that you used for your KG account. And don't forget to leave your feedback! 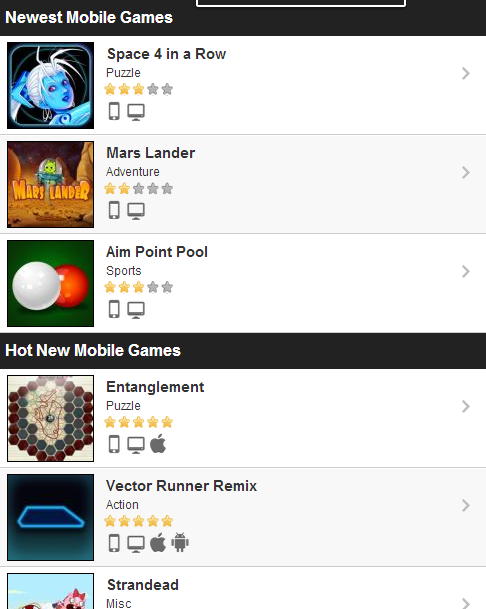 Kano Games has always been mobile friendly, with a few games playable from a mobile device. Recently we have partnered with a couple developers to bring even more mobile games to Kano Games! Based on interest and feedback we can put more effort into adding features to the mobile version of Kano Games, like bringing Chat to mobile! To access the mobile version hit up the site through a mobile device or hit the following url from a desktop www.kanogames.com/?device=mobile. So what do you guys and gals think, would you like to see more development on the mobile version? Issues with the current version? Features missing? Speak now or forever hold your peace! While we are busy at work on the next version of Free Rider and continuing to push out daily addictive games, we wanted to give a visual summary of what the last 500 days has looked like on Kano Games! As always, feedback and comments are appreciated!